Learn about our history of serving others. It is through the considerate gifts given by donors that the Sophie Miller Foundation is able to help so many. 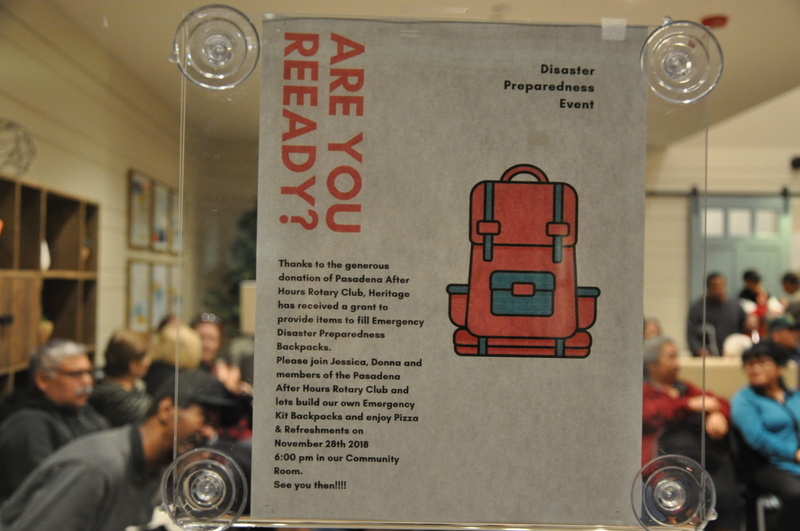 On Wednesday November 30, the Pasadena After Hours Rotary assembled 89 emergency preparedness kits for residents at the housing community, Heritage Square Senior Living Apartments in Pasadena, a partner of ECS and the Sophie Miller Foundation. We are grateful for the $3,000 grant, in addition to the 740 canned goods and 40 liters of water to be used for an emergency pantry. Everyone agreed this couldn’t have come at a better time in light of the recent fires in California. 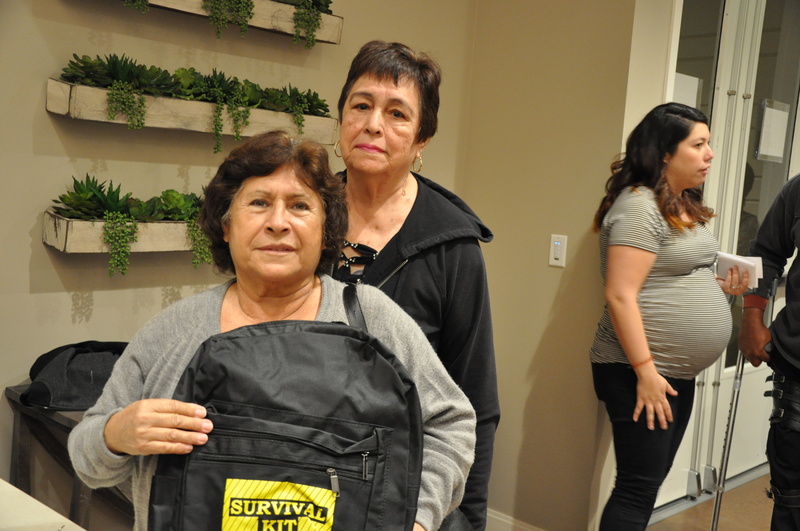 Backpacks were filled with ready to eat meal packs, flashlights, first aid kits, solar blankets and other items useful in an emergency situation. We are overwhelmed by the support of the Rotarians. 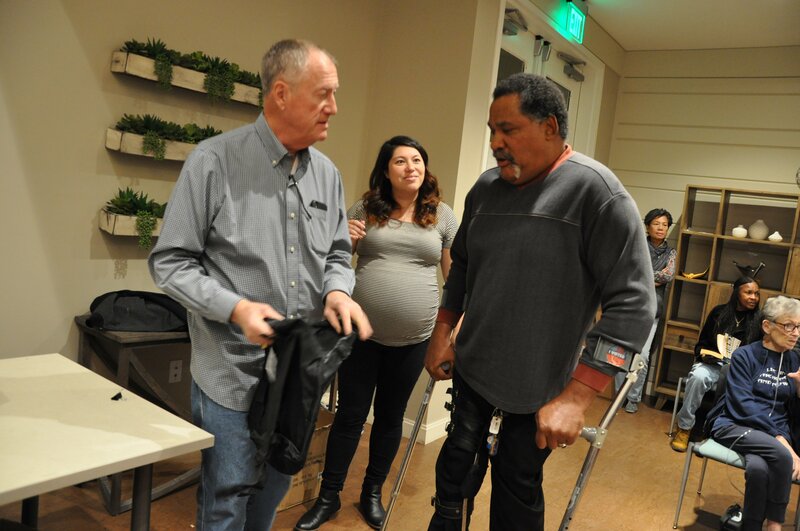 The Pasadena After Hours Rotary members make a huge impact in the community They live by their mission: service above self. Following a 35 year career in nonprofit leadership, including 25 years as the Executive Director of Executive Service Corps, Megan Cooper continues her committment to nonprofit success. Executive Service Corps vision is to make nonprofits successful so that communities themselves thrive. And someone like Megan carriers that vision forth, creating success and achievement, strengthening nonprofit work and community success. Megan came to The Sophie Miller Foundation through the By Your Side program. Knowing she wanted to be actively involved in community work, By Your Side offered her way to participate in community, a path to caring for others. By Your Side trains and equips volunteers to serve as compassionate companions for those nearing the end of life. Through this program Megan was introduced to the Foundation. And with her strong background and insights, Megan was soon recruited for the Sophie Miller Foundation. Thank you Megan for continuing to lead. Sharon Pewtress has been an employee of Episcopal Communities & Services (ECS) for 5 years. Currently she is the Vice President for Strategic Development, working tirelessly on creating partnerships for more affordable housing communities. Sharon is passionate about philanthropy and mentorship. As a generous donor to our S.A.F.E. (Staff Assistance Fund for Emergencies) fund, she has seen the positive change the fund can make to ECS employees in need. She believes in making a meaningful impact, while inspiring others to exceed their own expectations. Promoting innovation and encouraging collaboration, she wants to enhance the lives of residents and staff. Sharon practices work-life balance, travelling near and far with friends and family, enjoying many fond memories. We are proud to have Sharon support our programs. We are grateful for her generosity. 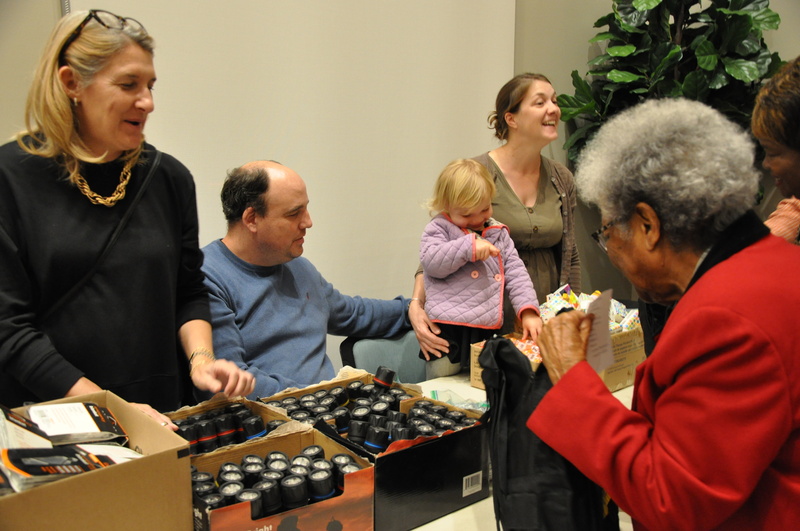 The Ida Lee Open Arms Fund was established to honor former Covington resident Ida Lee. Many will tell you Mrs. Lee had a big smile and an even bigger personality. 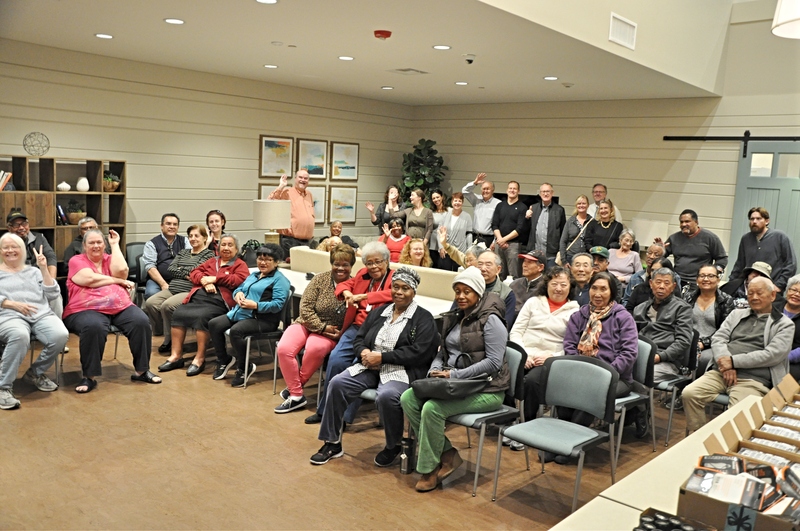 She would reach out and welcome new residents, helping them adjust to life at The Covington and becoming their friend. Mrs. Lee enjoyed lunch and dinner dates, and learning everyone’s name, leaving behind a legacy of kindness. 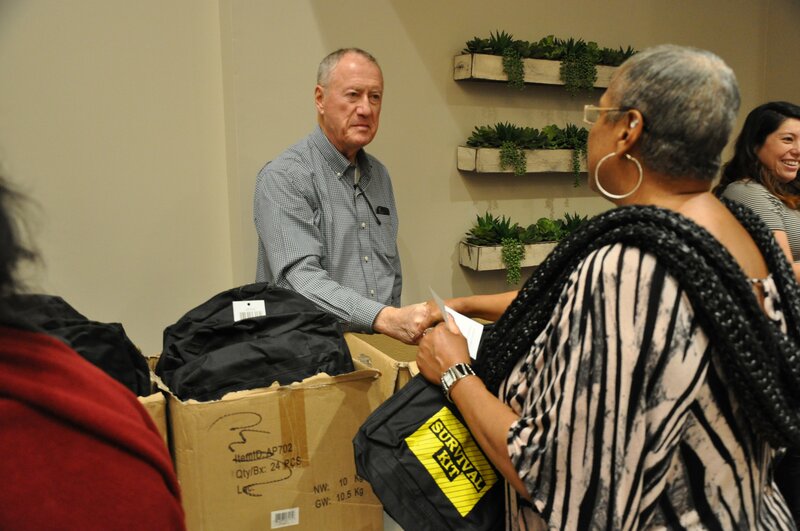 With the help of the Sophie Miller Foundation, each new resident will be receive a welcome bag with an invitation to the new resident welcome luncheon at The Covington all of which is made possible by The Ida Lee Open Arms Fund. Mrs. Lee’s family would say she never ran out of room in her heart and this is her lasting gift. We are honored to share Mrs. Lee’s legacy with you and thankful to her family and friends for their generous hearts. Richard and Nancy Flores share a passion for family, community and education. Two years ago the Flores moved from Palo Alto, California to MonteCedro bringing them closer to their 8 great-grandchildren. Richard is a member of the MonteCedro Board and, with Nancy, is a strong advocate for charities supporting education. They are annual contributors to the Employee Education Fund of the Sophie Miller Foundation, establishing The Nancy and Richard Flores Education Scholarship Fund. Given each year to MonteCedro employees who want to pursue education outside the workplace, these funds have helped countless students work towards their goals of higher education. The Sophie Miller Foundation, which administers the Employee Education Fund, is grateful for the generosity of donors. We are proud to salute Richard and Nancy for their commitment.